Questions about Kichler Lighting 42051MIZ? 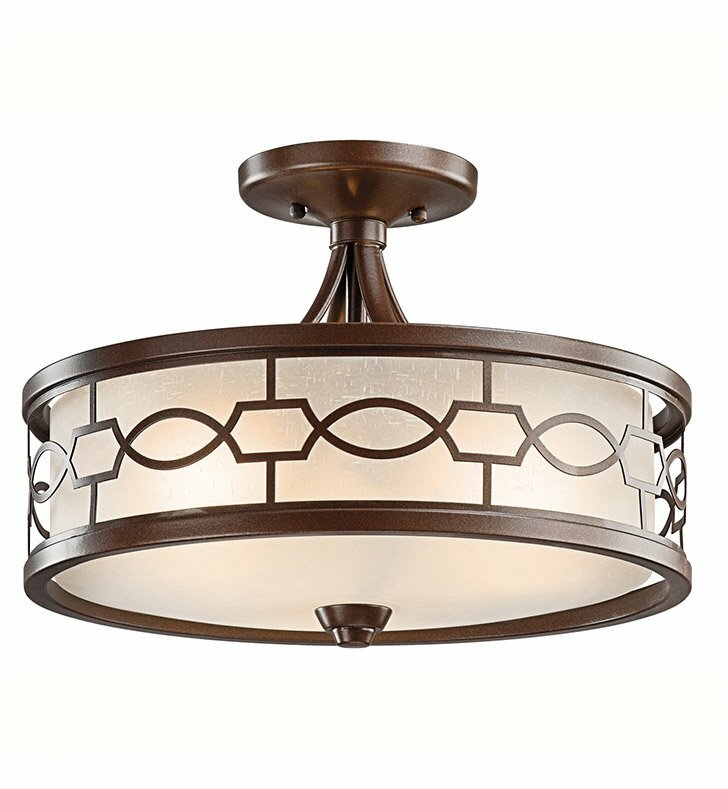 When you want to add a Wow in a room, this 3 light convertible chandelier - semi flush light from the Punctuation Collection delivers. A perforated metal filigree pattern surrounds white linen glass shades, creating a unique style. The deep, rich Mission Bronze finish is set perfectly against the clean white linen glass. For additional chain, order 2996MIZ. Dimensions: H 12 1/2" x W 15"